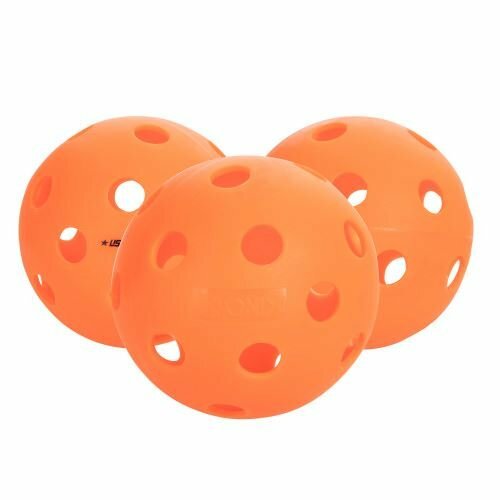 The Fuse Indoor Orange 3 pack pickleballs are designed with a large hole pattern -- creating less bounce off the indoor courts. The Fuse balls have exceptional seam welding offering greater durability and resists splitting. Provides the truest flight and most authentic bounce available. If you have any questions about this product by Onix, contact us by completing and submitting the form below. If you are looking for a specif part number, please include it with your message.